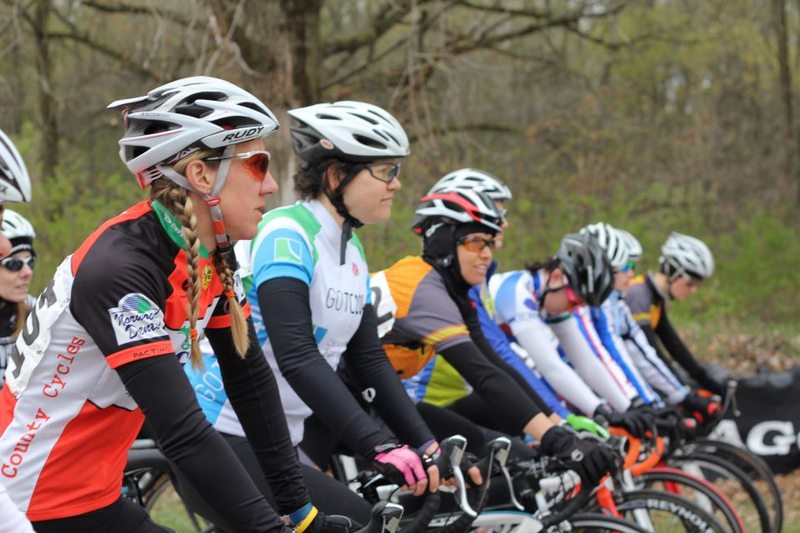 Back in March 2013, I was approaching my one year anniversary of bike racing and I wrote a blog post I titled “What a Difference a Year Can Make.” I started out my first year bike racing with the Spring Super Crit. Fast forward seven years, and my bike racing team is putting this race on! I remembered the post I wrote included my experience at the Spring Super Crit, so I tried to find this old post to see if it would be at all useful now. While the original post is no longer up, thankfully I found it saved on my Google drive. After reading, I decided it is worth re-posting, and especially helpful to those considering starting to bike race. BFF Bikes loves giving women the encouragement and support to try racing and see if it is right for them. I hope this does that, and am always up for chatting more! I hope you enjoy! First, how did I get into racing? Well, after completing the North Shore century ride in the fall of 2011, I realized I wanted more of a challenge and soon the idea of racing got stuck in my head. I starting googling and found the Chicago Bike Racing blog among several others. I discovered this thing called a “trainer” would help keep me in shape over the winter, so I asked for one for Christmas and got on it every Saturday throughout the winter. I was excited but didn’t really know what or how this would happen so felt like I was waiting around, wondering, am I really going to race? Then an attention grabbing post on the Chainlink about the Gapers Block Crits caught my eye and after reading the posts, it was clear this race would be beginner friendly and anyone could come out and just try it. My nervousness and questions about whether this is a good idea began to fade and I signed up. Half Acre Women continued to shepherd us newbies out of our comfort zone and get ready to race-- in the weeks leading up to Gapers, I read and re-read a blog post about what to expect in your first crit, learned what a paceline is on my first real group ride with Half Acre, and I practiced cornering in the Soldier Field parking lot. All this helped me feel a little more prepared for my first race but I still felt like I had no idea what was going on or what I was doing. Finally, race day came. I rode my bike down to Calumet Park, registered and lined up. The whistle blew and just like that, I was racing! I was pretty much expecting to fall off the pack and soon enough I had. Eventually I found a few others to ride with and we finished the race working together. The race ended and while it was probably one of the hardest things I have done, it was also one of the most fun things I have ever done. I was hooked. The second night I decided I would try my best to stay on the pack, and I did! This was even more fun! I still didn’t know what was going on so basically tried to copy the people around me, that is until the end came and everyone was suddenly gone-- I hadn’t figured out the sprinting part (and I’m still working on it...). By the end of the week, I felt like all I wanted to do was race. No really, ALL I wanted to do was race. I remember chatting with one of the other new women racers and she said something about how most of us will never be category 3 racers, but I already knew that was my new goal. I knew it would take time and a lot of work, but I got so excited at the thought of winning a race. The next race was the Burnham Super Spring Crit located in South Beloit- almost 2 hours outside of Chicago, but I knew it would be worth the trip. My alarm went off at around 4am I definitely hesitated for a moment and wondered what have I gotten myself into... that lasted for a few seconds, but then I thought about lining up at the start line and woke right up. This was technically my first “real” race since the Gapers crits are more like practice races and include a whole lot of people that have never raced before. I was a little nervous when I realized this and wondered if I would fall off the pack, but I knew if I did, I would still get to ride my bike as fast as I can and that would be fun. Well I did stay with the pack and actually was at the front quite a lot. I had no idea what was going on, but thought that similar to riding in a paceline, we are all supposed to take turns at the front. So I took my turn and then I’d move to the middle, but actually liked it more in the front. Now I know that is not “smart” racing, but I don’t care- it’s more fun. I ended up coming in 6th out of 15 and was pretty psyched about this. I figured if I would make the drive out there, I may as well do the women’s open race too. After running this idea by a few people, most people gave me a look like “Really??? Are you sure?” but I just shrugged my shoulders and figured “why not?” So I signed-up for the open race and found myself lined up right next to Kristen Meshberg, cat 1 racer, who I just met at the Q&A session after the first night of Gapers. This was definitely a bit intimidating and I thought for sure I’d get dropped but I didn’t really care. Well, I did manage with the pack, even during several surges! But once again, when it came to the end, the field took off in the sprint finish and try as I might, was all left behind all alone. I came in last, but that was one my most memorable races and made me like racing even more. That is pretty much how the trend kept going-- I continued racing all spring and with every race I did, the more I liked it. I don’t have a car so would usually get a ride from a couple Half Acre women I had met. There is nothing like a long drive to and from a race to move a friendship along, so we got to know each other pretty quickly and talked about me joining Half Acre. I wanted to join a team and HAC seemed like a great fit so I joined that May. So over the last year, I made a ton of new friends, rode countless miles with my new teammies, raced in a bunch of small towns I never knew existed, got a fancy new racing bike, started an actual training plan, and experienced a million other things never saw coming a year ago. So yes, man in the elevator, what a difference a year can make.